Pastor Eric Jean-Bruno Aniel Barbe was elected as an Associate Director of the Stewardship Ministries Department of the Seventh-day Adventist world church in October 8, 2017. 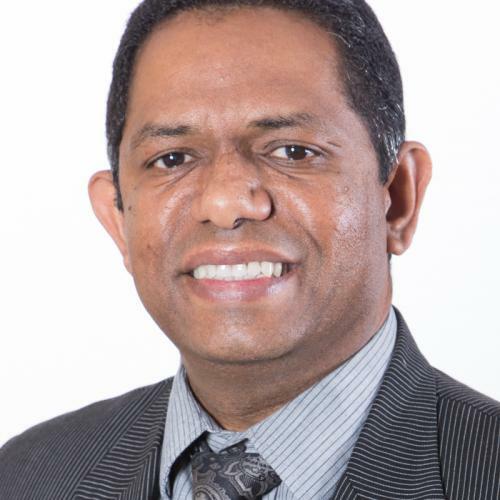 A native of Mauritius, an island situated in the South West region of the Indian Ocean, Pastor Barbe previously served as the Stewardship Ministries director of the Indian-Ocean Union from 2010-2012, and of the Southern Africa-Indian Ocean Division (SID) since February 2013, establishing a solid stewardship ministry in that division. Pastor Barbe’s parents, Roger, a former alcoholic, and Thérèse, joined the Adventist Church when he was still a little boy. Very early, he sensed God’s calling to serve as a pastor. Through God’s leading, he studied theology at Institut Adventiste du Salève, France. Later, he completed a MA in Religion with Andrews University at Babcock Extension Campus, Nigeria. However, his passion for the human mind led him to do a BA in Psychology/Education with the University of South Africa. During his 22 years of pastoral service, Pastor Barbe was mainly involved in three areas: church pastoral work, administrative responsibilities and departmental assignments. His primary passion is for pastoral work in the local church which he considers as the greatest school for ministry. He was enriched by the 10 years he spent in the Youth Ministries at the Local Conference and with the Indian Ocean Union. Pastor Barbe had the opportunity to serve as the Executive Secretary and President of his home Conference and also as President of the Indian Ocean Union. Since 2010, he is directly involved in the Stewardship Ministries at the Union and actually with the Southern Africa Indian Ocean Division. He strongly believes that if the adequate conditions are nurtured in the local church, faithfulness will grow as a natural fruit. Pastor Barbe has been married to Marie Micheline Barbe, his partner in life and service for the past twenty years. They are the happy parents of Adam, the miracle of their lives.